40 calories per wedge. See nutrition information for saturated fat content. 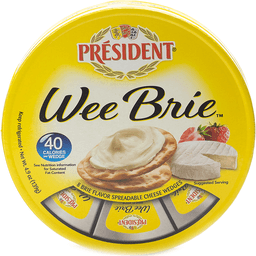 Comments or Questions: Call 1-800-641-8306. www.presidentcheese.com. Best if used by date stamped on package. Wisconsin cheese.